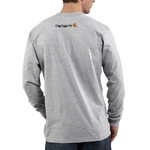 Our long-sleeve logo t-shirt is perfect for on the job site and off. Made of 6.75-ounce, 100% cotton jersey knit, it features a rib-knit crewneck and cuffs, side-seamed construction to minimize twisting and a tagless neck label. 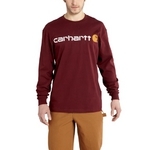 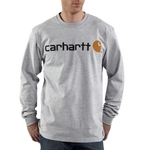 The Carhartt logo is printed on the chest.